World Trade Center Holdings Cyprus (WTCH) is proud to announce that Nest Investments Holdings (Cyprus) Ltd., the mother company of WTCH, in recognition of their commitment to corporate success and social responsibility and for their significant contribution to the promotion of Cyprus as an international business destination, was awarded by the Cyprus International Business Association (CIBA) the Annual CIBA Excellence Award. The Award was presented to Nest Investments Holdings during the CIBA Annual General Meeting by President of the Republic Mr. Nicos Anastasiades and President of the Association Mr. Frixos Savvides, and was received by the Nest Investments Holdings Group founder, Chairman and CEO Mr. Ghazi Abu Nahl. The CIBA 24th Annual General Meeting took place with great success at the Amathus Hotel in Limassol. During the AGM, Mr. Savvides addressed the distinguished guests and esteemed members, stating amongst others that although he was pleased with the efforts of the government to-date, there was still more that could be done for the International Business Sector in Cyprus. 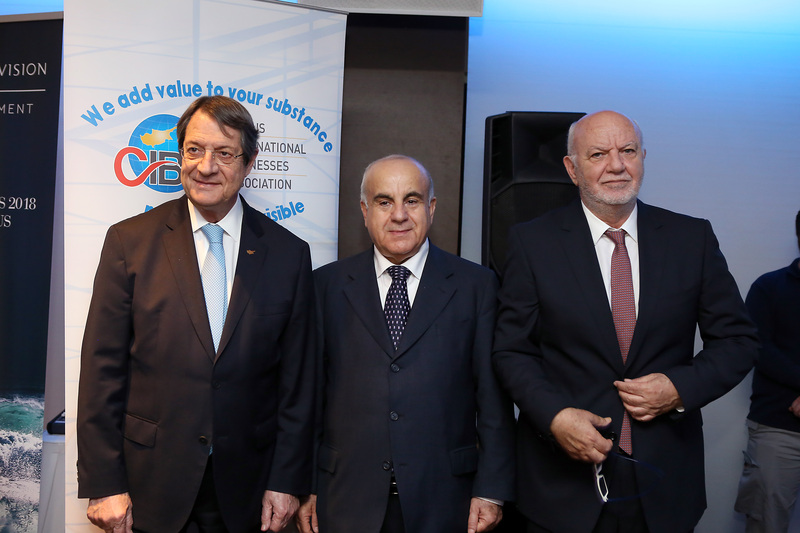 CIBA was honoured to have the President of the Republic Mr. Nicos Anastasiades, address the CIBA members in the presence of high ranking officials and eminent guests. The President of the Republic noted the advantages of Cyprus as an International Business centre and expressed his wish for Cyprus to continue on the steady path of economic growth. Nest Investments (Holdings) Limited was founded in 1985 as a holding company that operates in a variety of sectors, in 25 countries and across all continents. Our subsidiary companies operate in insurance, reinsurance, broking, banking, real estate development and management, building material manufacture, and licensed operations (such as World Trade Centers). The total of the Group’s assets exceeds US$5,100m with an annual turnover in excess of US$620m. We currently employ over 2,000 dedicated and experienced staff, who are mostly recruited locally within the country of operation. This gives our companies a distinct local edge, but no matter where we operate, everybody at Nest Investments shares one set of values. This truly global sense of community creates a culture of excellence and a strong commitment to corporate social responsibility that is reflected in everything that we do.